Why was Billy Graham Popular with Presidents, Popes, and Other World Leaders? As most all of you know by now, Billy Graham died this week. You can find any number of news reports detailing his evangelism crusade achievements throughout the world for these many, many years. I remember attending one of the crusades in Portland, Oregon with my grandmother in about 1969. This post is not written with the intention of criticizing Graham, though there certainly were methods he used that I strongly disagreed with. I concur with Dr. Martyn Lloyd-Jones who refused to participate in Graham’s London crusades because Graham had Roman Catholic bishops or cardinals seated up on the platform with him, thus endorsing them as Christians. But I simply write this post to encourage all of us to think about how the Bible portrays the relationship of God’s spokesmen (prophets, apostles, and God’s Son Himself) to kings and rulers. Is there a typical pattern? In other words, how do we see the Old Testament prophets, the New Testament apostles, and the Son of God speaking and relating to the civil, pagan rulers of their time? I address this issue because Billy Graham was known as “the” preacher, the “go-to” Christian leader who met with (generally at their request) just about every United States President during Graham’s ministering lifetime. I saw a picture of him sitting with Bill Clinton when he was President, and there was Hillary right beside him. Richard Nixon, Jimmy Carter, the Bushes – Billy mixed it up with them all. Politicians of course are always after votes, and Billy Graham was seen by them no doubt as a man with a considerable voting following. 1Ki 18:17-18 When Ahab saw Elijah, Ahab said to him, “Is it you, you troubler of Israel?” (18) And he answered, “I have not troubled Israel, but you have, and your father’s house, because you have abandoned the commandments of the LORD and followed the Baals. Luk 13:31-32 At that very hour some Pharisees came and said to him, “Get away from here, for Herod wants to kill you.” (32) And he said to them, “Go and tell that fox, ‘Behold, I cast out demons and perform cures today and tomorrow, and the third day I finish my course. Need I go on? I certainly could. But you see the point. In Scripture and down through the history of the church (think of Martin Luther, John Bunyan, Wycliffe, William Tyndale, and on and on) the norm has been for God’s preachers to be hated and imprisoned and even killed by the kings of this world. Why? Because they confronted these rulers with their evil, and the kings hated them for it. This is the norm. This is what God’s preachers are called to do. Such confrontation of evil in high places is part of preaching the gospel, you understand? You cannot call someone to faith in Christ unless you first show them their sin and call them to repentance. And so I wonder. I just wonder, and I think it is quite a fair question for me to ask. How is it that Billy Graham was “the Presidents’ preacher”? 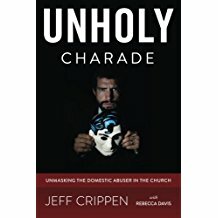 How is it that he enjoyed audiences with bishops and cardinals and even with the Pope who are leaders of a counterfeit church that has murdered countless true Christians? Why wasn’t Billy hated by them? Did he actually call out their sin and tell them God commands them to repent? This blog is about evil. Evil hiding in churches disguised as a saint. Wolves in wool. And I can assure you that whenever Christ’s people are popular with the world, something has gone quite wrong. In such an environment, evil wrapped in wool thrives in the pews and in the pulpit. 1Co 2:6-8 Yet among the mature we do impart wisdom, although it is not a wisdom of this age or of the rulers of this age, who are doomed to pass away. (7) But we impart a secret and hidden wisdom of God, which God decreed before the ages for our glory. (8) None of the rulers of this age understood this, for if they had, they would not have crucified the Lord of glory. Joh 15:19-20 If you were of the world, the world would love you as its own; but because you are not of the world, but I chose you out of the world, therefore the world hates you. (20) Remember the word that I said to you: ‘A servant is not greater than his master.’ If they persecuted me, they will also persecute you. If they kept my word, they will also keep yours. Joh 16:1-3 “I have said all these things to you to keep you from falling away. (2) They will put you out of the synagogues. Indeed, the hour is coming when whoever kills you will think he is offering service to God. (3) And they will do these things because they have not known the Father, nor me. Henry was a very kind person. I met him in Bible college many years ago. Henry loved people. He grew up in a Christian family on the family farm, surrounded by Christians. But I believe that Henry was naive about evil. And it seems to me that as a result, evil conquered him. I believe Henry is with the Lord right now – I never doubted his profession of Christ and I still don’t. I do not believe that suicide is the unpardonable sin. I think that somehow, when confronted with the evil of this world, Henry’s worldview, his paradigm for processing things, came up short. Henry was not wise about evil and it undid him. That is what I think happened. It is just my opinion. The Lord Jesus, in the verses quoted above, clearly and plainly warned us about this evil world. He gave us a heads up. He said that the world hated Him and that is why it will hate all who follow Him. The world HATES us. The world tries to destroy us. To shut us up. To put out the light of Christ’s truth that is shining in us. And the god of this world, the devil, has many agents available to aid him in this diabolical work. What we absolutely must understand is that not only does the world hate us, the world most often operates as wickedness clothed in righteousness. As the Lord put it, the wolf comes dressed in sheep’s attire. Human beings are not “basically good.” The human heart is deceitful above all things and desperately wicked, as the Scripture says. The mouth of the wicked is an open grave spewing forth deadly, destructive poison. And most often, that poison is aimed at Christ’s people. Notice in particular the sentence I have highlighted in the verse above. Jesus tells us WHY He warns us about the hatred of the world. To keep us from falling away. So that we are not surprised. So that we will understand that we have done nothing wrong. That being hated is not our fault. Rather, it is all due to the fact that the world hates Jesus Christ and thus all who belong to Him. But if we fail to fully grasp what Jesus meant in this warning, well, when the hostility and hatred come our way, there will be a danger of “falling away.” That is, of giving up and no longer following Christ. I don’t think that Henry fell away in the sense of his soul being lost. I do not believe that a real Christian can ever be lost – “no one can pluck them out of my hand.” But I do think that a Christian can become very, very confused when the devil comes around with his lies and persecutions. We can fall away from the truth of Christ and start wondering, and even believing the devil’s filthy lies. We can grow depressed and hopeless. And yes, I think in such a condition a Christian could even choose death. Therefore, Christian. Do not be ignorant of the devil’s devices. Do not assume that this world is basically a nice place populated with nice people. Do not be surprised when the world hates you. Because if we do not get these things right, if we fail to heed Jesus’ warnings on all this, then when the pit of hell touches us, we will have no adequate life lens through which to see what is really happening. It will be blurred to us. We will be confused, And we will feel like just giving up.